The moon is full tonight, bright enough to read by. 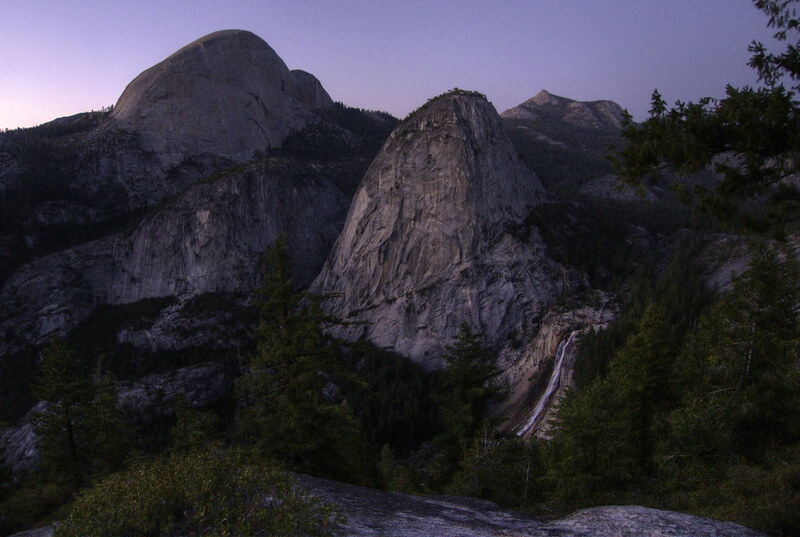 Everything made of the Yosemite Valley's light-gray granite is illuminated. As is everything around my flickering campfire. I didn't make it far today, since I didn't get on the trail until nearly dusk. I hiked a few miles in and set up camp by headlamp light and built the fire. 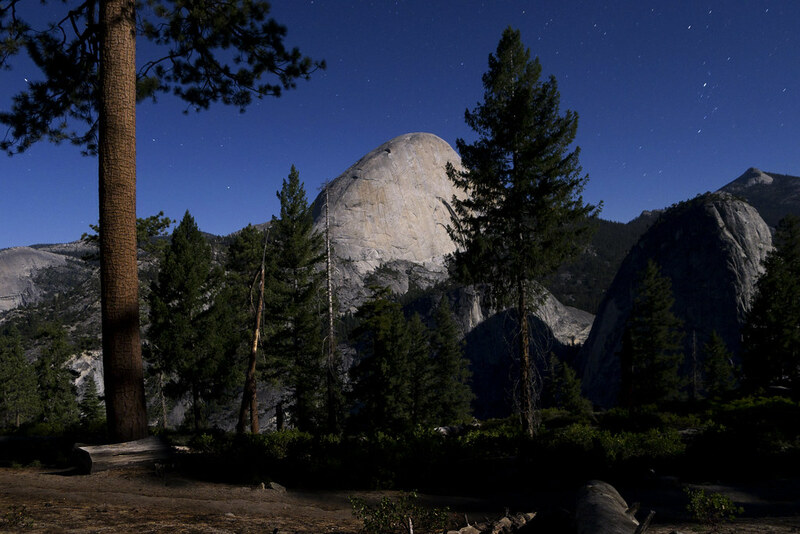 While staring at the moonlit southern face of Half Dome, I realized it's almost been two years to the day that I was sitting on the other side of the valley, staring at Half Dome's moonlit northern face. I remember that night very well. The same stars filled the cloudless night sky and it was equally quiet. Not even a cricket's chirp. That night I saw a shooting star and wished my life could be filled with more nights like that one. Some might think I haven't moved very far in two years, just to the other side of Yosemite Valley, but my fifth pair of worn-out hiking shoes on my aching feet would take offense to that. It's hard to believe it's only been two years, though. How different my life is now.